Welcome to BridgeWell Capital, direct hard money lenders for your real estate investing needs in Fort Worth, Texas. We help investors finance their residential non-owner occupied single-family properties quickly and easily. Our hard money loans are specifically designed for investors who require fast, efficient and convenient financing when conventional funding is not available. Conventional loans from banks are a headache for most investors. The lengthy time requirements and the strict underwriting guidelines, including a high credit score, low debt-to-income ratios, employment status and foreclosure history are some of overarching issues investors in Fort Worth deal with every day and the number one killer of good deals. At BridgeWell Capital, our goal is to help our clients in Fort Worth reach their real estate investing goals. We lend hard money directly to investors that need fast, funding without having to jump through the hoops and dread the delays of conventional lenders. Instead of looking for technicalities to say no, we look for ways to say yes, because we have one goal in mind: your success. As hard money lender professionals, with over 30 years of lending experience and over $200 million in loan origination, we offer flexible rates and terms that are not available through any conventional or unconventional avenues. We have private money to finance up to 80% LTV for 1-30 years. If you are ready to start investing in Fort Worth with a reputable hard money lender, and your goal is to purchase a real estate investment properties to rent or sale, or refinance your current property, BridgeWell Capital is here to help. We invite you to take a tour around our site – there is a wealth of information about our company, our hard money loan products and our services. If you prefer, you can also contact us directly by calling 214 617-9900 to speak with one of our representatives. You can also take a minute to submit a hard money loan application – No commitments. Fort Worth is one of the most popular destinations for real estate entrepreneurs looking to invest in real estate. We have a significant amount of borrowers in Fort Worth looking for hard money to finance deals that you would hardly find anywhere else. The region is known for it’s strong job growth and real estate assets, which gives Fort Worth investors the ability to find great deals. According to the Bureau of Labor Statistics, Fort Worth has seen a better-than-expected job growth month after month in 2013. KPMG’s Real Estate Industry Outlook Survey, carried out in 2013, found that 58 percent of the country’s executive decision makers plan to expand their business geographically, and Fort Worth is likely to be a common destination. The job expansion, plus the resulting increase in demand for housing, is expected to drive revenue growth for real estate investors in the next three years. The job growth in Fort Worth is driving, and will continue to drive, an expanding market with more opportunities. BridgeWell Capital makes it easier for investors to take advantage of these opportunities and maximize their profits. Fort Worth is located in northeast Texas, between the Tarrant, Parker and Denton Counties. It covers an area of 347.86 square miles and it has a population of 741,206, the 5th largest in the state. With a growth rate of 38.62 percent, Fort Worth is the country’s fastest growing city of more than 500,000 people. This unprecedented growth is due to immigration, an increased birth rate, a longer life expectancy and domestic migration. If there is one product that will be in great demand in the future is real estate. As a real estate investor, knowing the potential demand for housing is important. However, understanding the household income distribution can bring some further insights about the types of markets you will find in Fort Worth. According to usa.com, most of the households in Fort Worth are within the $50K to $70K income bracket (about 20%, nearly 3% more than in the state and the US). If you decide to carter for higher income households, you will also find a solid demand, although you may need to invest on more expensive properties. Whatever market you decide to target, BridgeWell Capital is here to help. 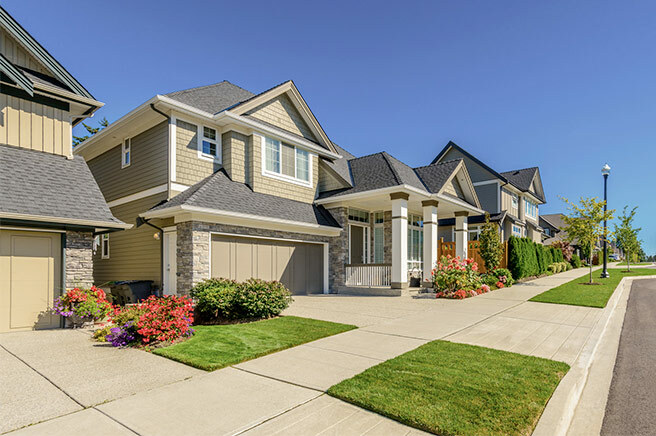 Since our hard money loans are approved based on your likelihood to succeed, we assess the quality of the property, the characteristics of the neighborhood, the marketability of the property, the risk, and many other factors. Our hard money underwriting guidelines can help you determine what to look for in your next investment. For more information about our hard money loans give us a call today or take a minute to submit an application online without commitment. If hard money is an excellent way to finance your deals, a real estate investment association (REIA) in Fort Worth is an excellent place to meet dealers, retailers and other real estate professionals. Nearly all of the contacts you need to make can be made there: you can find contractors, closing attorneys and eviction attorneys. A-1 REIO-FW: Networking is the main goal of A-1 REIO-FW. From Attorneys to Contractors, you will find a variety of real estate professionals. A-1 REIO-FW encourages members to do deals with their so-called “Deal Tables” where investors can market their properties or services to others. Members get to meet every 2nd Thursday of each month, from 6 pm to 9 pm. Dallas Fort Worth Real Estate Investors Club: Networking, education, deal making and helping others are the main activities of the DFW REI Club. They have meetings every Saturday at 9 am. Whether you are a member of a REIA or not, finding business partners is very important for your success. BrigeWell Capital welcomes anybody looking to invest in real estate to partner together and make a team. You can call us anytime at 214 617-9900 or we can contact you if you take a minute to fill out our hard money loan request form.